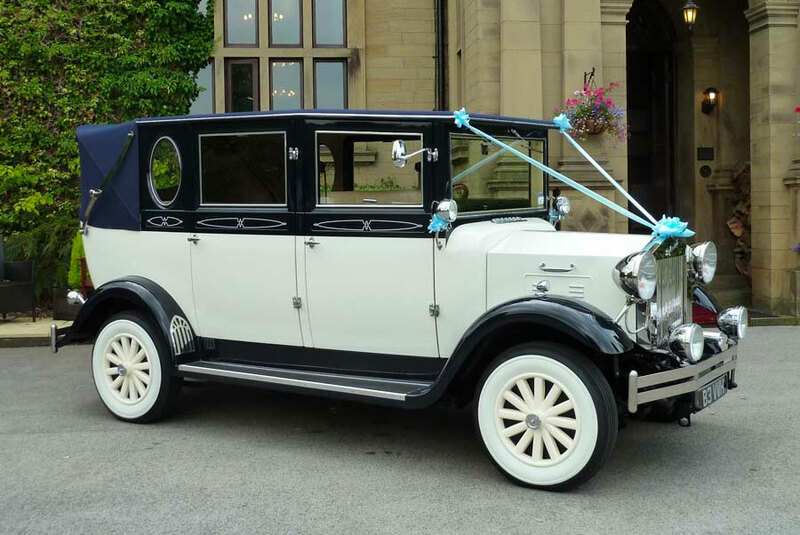 This stunning vintage 1930’s style Imperial wedding car has the benefit of being a Landaulette which in this case means that the rear half of the roof above the back seats folds back to provide a semi convertible vehicle. This will give you the chance to get that perfect photo opportunity for you and your partner to look back on in years to come. With its outstanding two toned colour combination of black and old English white and white wall tyres carrying out that 1930’s feel. 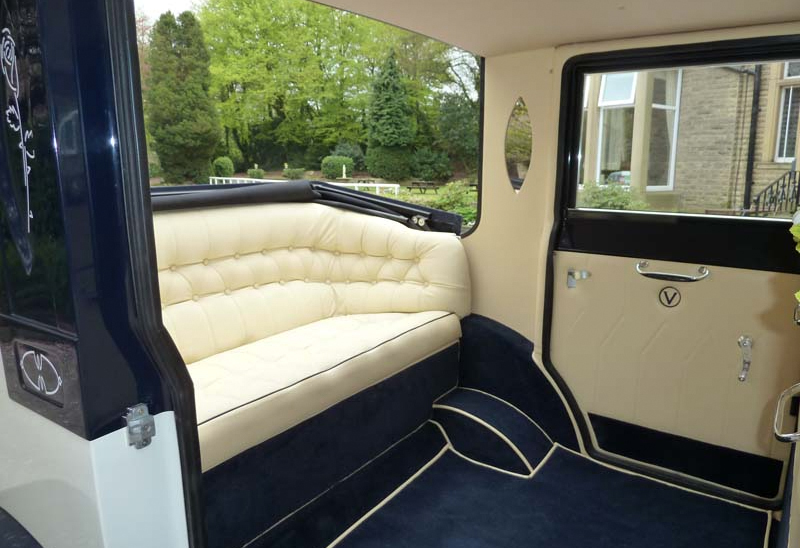 The Imperial vintage wedding cars interior speaks volume with its unique chesterfield design in ivory leather and black carpets carrying on the 1930’s theme. 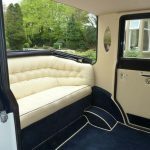 The Imperial is very spacious in it’s layout with two drop down seats , and a champagne bucket with champagne flutes holders for you to sit back, relax and enjoy the ride.1st Class Limos acts as a broker on your behalf for all bookings on this Vintage Wedding car.